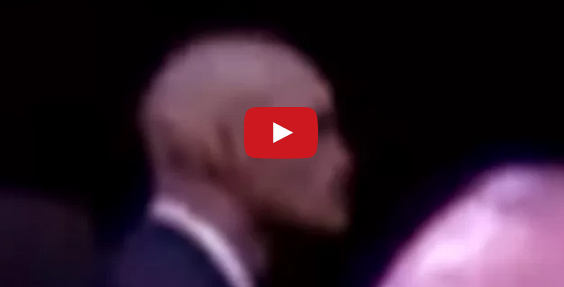 Alien Shape Shifter Caught On Camera At Obama Conference. During Barack Obama’s speech at the 2012 AIPAC Zionist Conference at the Washington Convention Center something strange to place. The cameras spotted a very odd individual that was working for the United States Secret Service. The person spotted, according to sources, could be strong evidence of a shape shifter alien humanoid working for the US government. Caught on a high definition video at this event shows him shape shifting in the middle of Obama’s speech. As you look at the man, he is moving his head in an odd back-and-forth motion. Even though at first sight he looks like the average Secret Service agent, the series of odd features on his head and face along with his very strange behavior and movements suggest something different. But due to the low lighting in the amphitheater he would pass as a normal human being by the crowd. The video from a different angle shows him shape shifting into a non-human form. Look closely, what do you think? Are you a believer?